Beginning as early as age 6 and continuing through the teenage years and on into their twenties, both male and female athletes are more at risk of serious injuries at younger ages than ever before. Dr. Tommy John, son of lefty pitcher Tommy John and also a sports performance and healing specialist, offers an invaluable diet, lifestyle, and movement plan (Rethink. Rebuild. Replenish. Recover) for injury- and performance-proofing young athletes in every sport. Dr. John explores the sudden rise of Tommy John surgeries being performed on young athletes today, as well as the many injuries--and the surgeries required to fix them--increasing at an alarming rate in baseball and all youth sports. 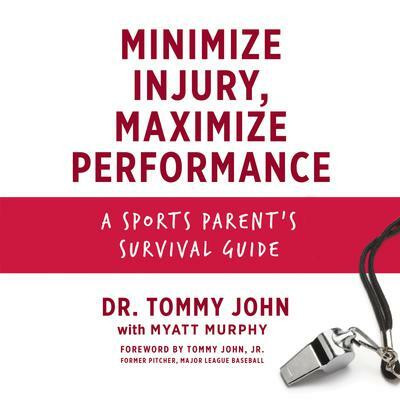 Dr. John's book outlines the three top causes behind this "injury epidemic": The American lifestyle, the business of youth sports (from coaches to corporations), and the decisions we believe as parents are truly benefiting our children. Minimize Injury, Maximize Performance focuses on prevention, and also offers tips on how to tailor the advice for athletes coming back from an injury, with over 120 black and white photographs.